Got brunch on your mind? 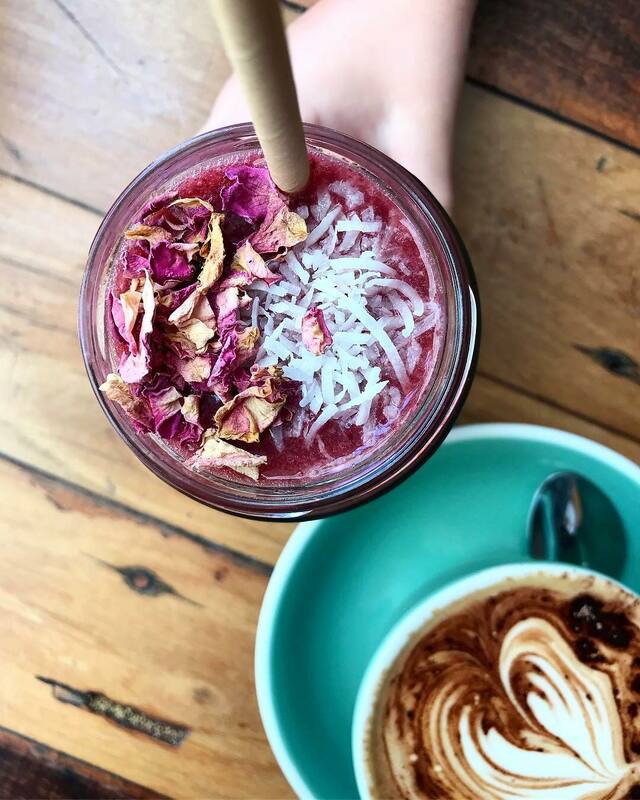 Here’s a list of the 9 best cafes in Byron Bay and its surrounds. The town of Byron Bay has grown dramatically in size, with cafes and restaurants everywhere you turn. 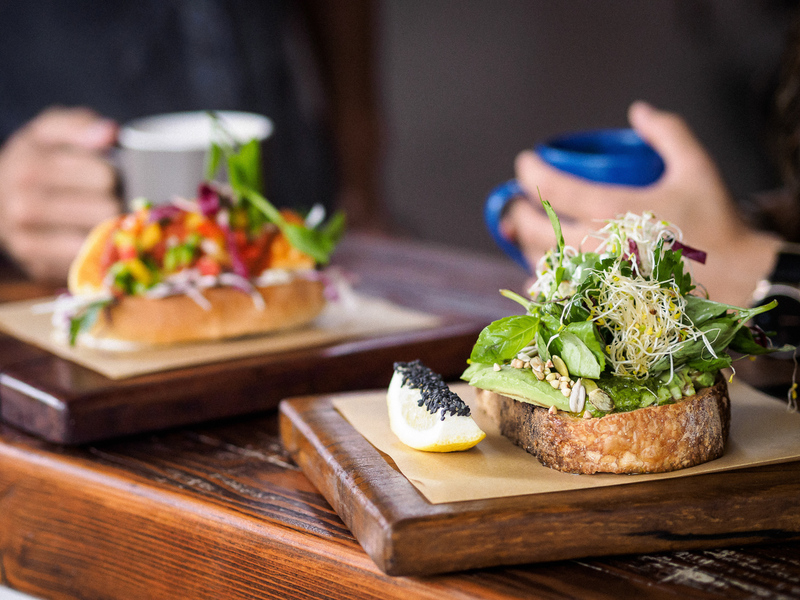 If you consider yourself a bit of a foodie and want to try the best cafes that Byron has to offer, then never fear, we have you covered with the top 8 cafes and coffee spots in Byron Bay and its surrounds. As its name suggests, Top Shop is settled at the top of Carlyle Street. This quirky spot opens at 6am for those early risers and the staff are never in bad mood. Top Shop specialises in brekkie rolls and acai bowls, with a delish pastry cabinet to suit. Whilst there is indoor seating and bar stools at the coffee window, most guests opt to lounge on the front lawn where the cafe provides cushions, blankets and umbrellas in the summer. Bayleaf Cafe is tucked just off Johnson Street. This bustling hotspot offers a range of healthy brunch options with an emphasis on delish coffee and cold pressed juices. If you love coffee then their coconut infused cold brew is served with a side of coconut cream and their coffee tasting board offers a range of espressos and filter coffees. The menu is designed to suit everyone with fresh, unique items made from carefully sourced produce. You’ll find General Store on your way out to Broken Head. This bustling brunch spot offers simple, yet tasty dishes and a laid back environment to suit. Sit out on the deck on low lying benches or grab a quick snack to go. Folk Byron Bay is just off Ewingsdale Road. This lovingly converted shack is home to organic, ethical, plant based meals and of course, fine coffee. The relaxed boho vibe is emphasised by Persian rugs, plenty of greenery and of course, lots of outdoor seating in both the front and back gardens. Warm timber walls meet pastel pink finishings in this quirky Byron Bay cafe. Passionate about using organic ingredients, Combi boasts house made nut mylks, raw vegan sweets and a heartwarming menu with an emphasis on acai bowls in the summertime. Located in Byron Bay’s industrial region, this cafe is focused around a long communal table. The eclectic space hosts pop-up dinners every month in a share-style feast with a range of internationally influenced dishes. The cafe menu at 100 Mile Table is constantly changing with options like chicken and ginger congee or bacon and egg butties as a staple offer. Woods is the little sister of Folk and is a local favorite for early morning coffees. Tucked into the side streets of Bangalow, Woods boasts the same modern hippie aesthetic as Folk and reflects its passion for sustainable living through organic, plant-based cuisine. Our Corner Kitchen is behind the main shops of Bangalow. This gem feels like a jungle oasis with green tiles and a lush outlook from the deck. Enjoy a quiet breakfast tucked away from the main street of Bangalow or grab one of their sandwiches or salads from the counter. A bit further from town, in the Historic settlement known as Federal, the Federal Doma Cafe has people talking and it’s easy to see why. This rustic establishment serves Japanese/Australian fare and is the go-to for a leisurely lunch. The venue manages to offer mouthwatering sashimi, alongside homemade burgers in style and is a favourite for locals and day trippers alike. Hinterland House is a stunning farm stay located just five minutes outside of Bangalow. We love our home and want to share the best experiences Byron has to offer. Visit our blog roll for up to date info on Byron Bay and its surrounding hinterlands.